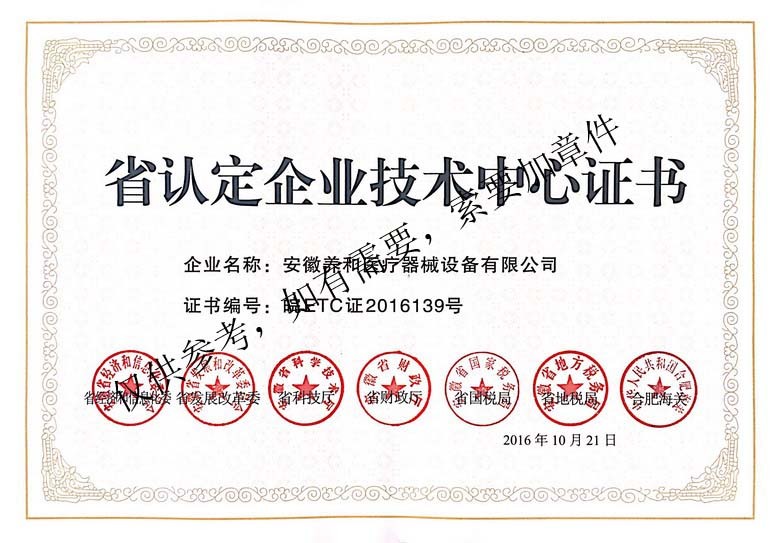 Young-hearty was awarded the 25th batch of Provincial Certified Enterprise Technology Center in Anhui in 2016. Anhui Young-Hearty medical equipment Equipment Co., Ltd., based on the technological innovation system of enterprises as the main body, enhanced the innovative capacity of enterprises, and got the twenty-fifth batch of provincial recognized enterprise technology centers of Anhui in 2016. 下一篇：Our company reaffirms through the high-tech enterprises organized by the State Ministry of science and technology.